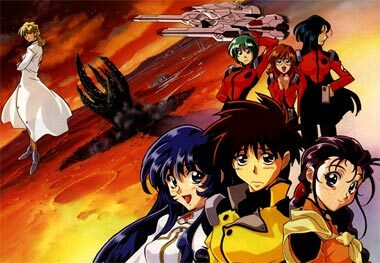 This savvy series combines your standard Macross/Robotech storyline with your not-so-standard Futurama storyline. The intelligent scripting & terrific animation will appeal to newbies while the multitude of anime inside-references will tickle old-school fans who still wax poetic about Star Blazers no end. It's the far future, and planet Earth is being threatened by your standard-issue alien menace. 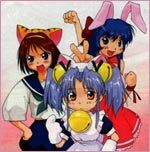 The bad news is that mankind's last hope for survival is the hastily slapped-together (and they should be *slapped* together) crew of the Nadesico. 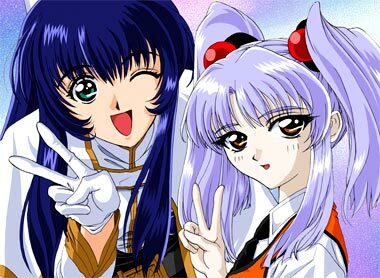 The captain of this excuse for White Base used to be Lynn Minmay in another life (and sounds like sister Quinn from Daria). No other mecha pilot has ever *not wanted* to pilot a mecha this much (he wants to be the cook). The crew, in general, has all the spirit and camaraderie of an American family — The Simpsons. This series has been put together by people who obviously know way too much about the anime they're spoofing. Their love for their subject matter allows the show to transcend mere satire to become a serious addition to the genre. 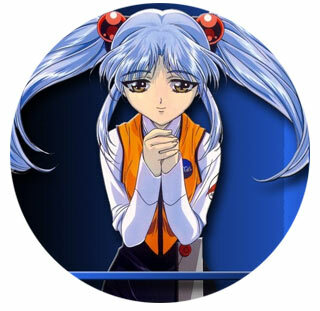 Below: Promotional artwork from Martian Successor Nadesico.